The shrine, dedicated to Grannus, was built in the first century AD by the Romans. Grannus was venerated by the Gauls as a god of healing and was associated by the Romans to the god Apollo. The name of the village derived from Grannus. "Gran" became "Great" home of the Archaeological Site of Grand. Info: Providing free Wi-Fi internet access, La Ducasse is located in the village of Coussey, in the Lorraine region. 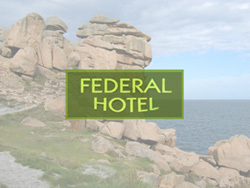 It offers a French restaurant, a terrace and en suite rooms with a TV. Info: The hotel is ideally located in the nice village of Neufchâteau in the Vosges region. L'Eden offers a warm and friendly welcome. L'Eden offers comfortable rooms with a discreet blend of indispensable convenience and old-time charm. Info: Located in the town centre, this hotel is 700 metres from Neufchateau Train Station. It features a restaurant with a shaded terrace and offers guest rooms with free internet access. Info: La Forge de Sainte Marie offers self-catering mobile homes in a resort where guests have access to a variety of activities and facilities including a heated indoor swimming pool and a hot tub.